Pay with a credit card using PayPal. Product Details: Jazzin’ the Accordion, 8.5in x 11in, spiral-bound, 41 pages. 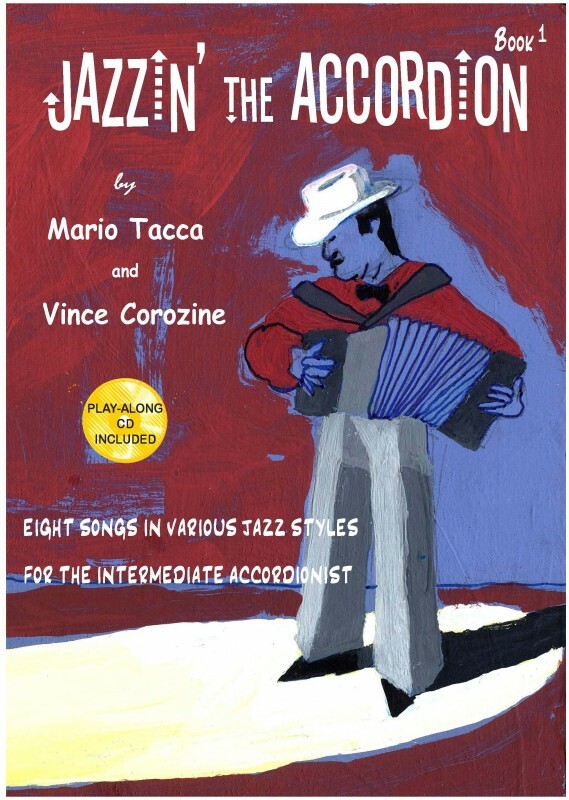 Jazzin’ the Accordion Book 1 is a valuable, innovative approach to learning Jazz for the intermediate accordionist. The play-along CD contains eight songs in a variety of keys, moods, styles, and tempos. The accordionist has the option of playing along with the melody and instrumental background on the first track of each song. On the second track of each song, you can play the written jazz solo or improvise your own. Want to play Jazz? This book is a must for you!